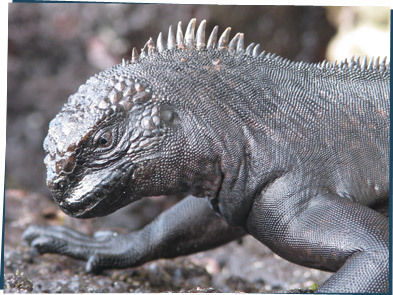 I love marine iguanas! They look like tiny Godzillas. They're great swimmers and I think they're the only reptile that feeds underwater. And because they're cold-blooded, they mostly hang out on rocks all day trying to absorb heat from the sun. Check out these three: they look like they're waiting for Goldilocks.